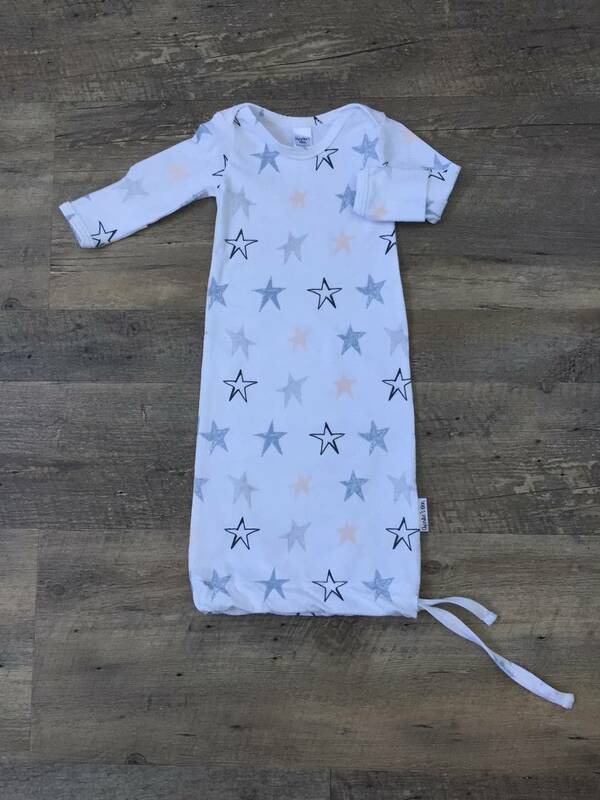 These gowns are great for those first months of frequent nappy changes. Features foldover hands and a tie bottom. Size 0-3. Contact charliesden to enquire about payment or shipping options.